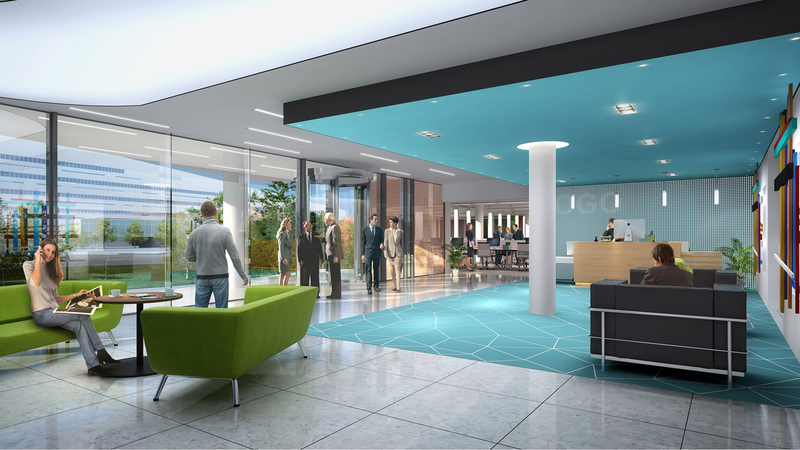 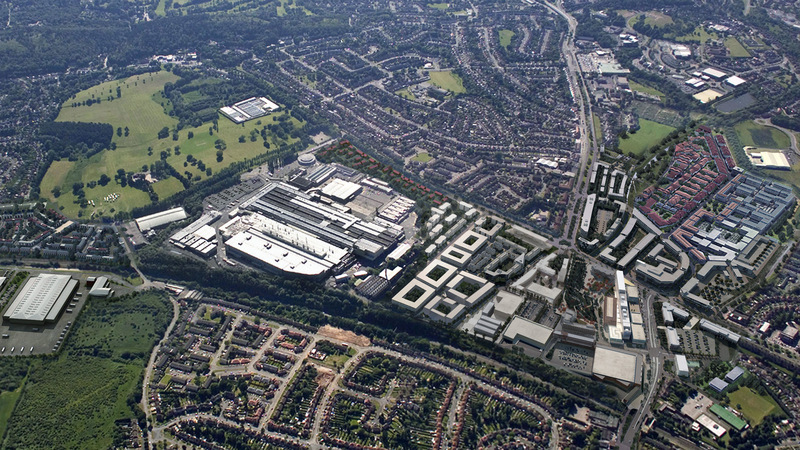 Creating a vision for the key phase of the largest regeneration project in the West Midlands. 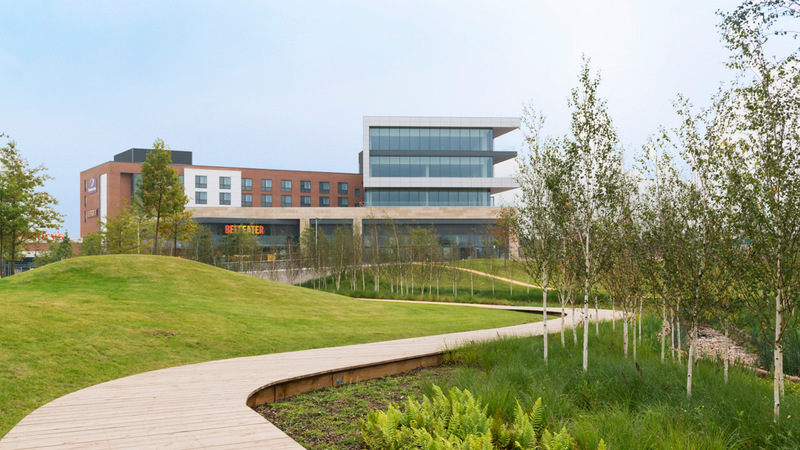 Longbridge aims to deliver a sustainable community with the creation of up to 10,000 new jobs, over 2,000 new homes, and, a new town centre, supported by new public spaces, linkages and parks. 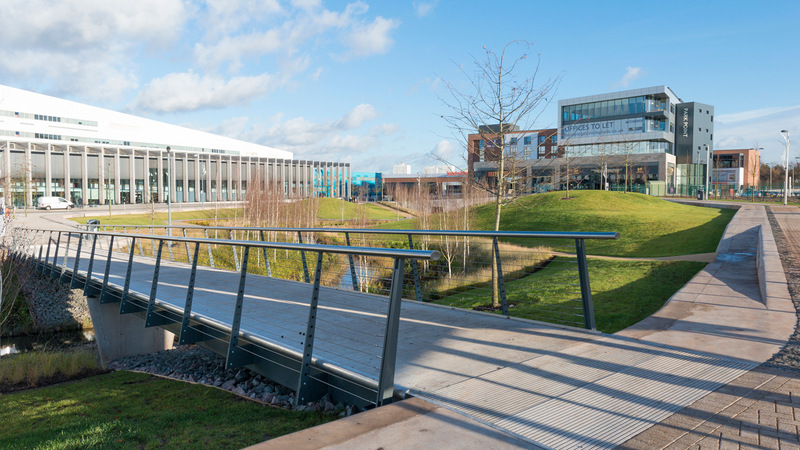 Holder Mathias have acted as Architects and Urban Designers for the key aspects of the wider Longbridge regeneration project. 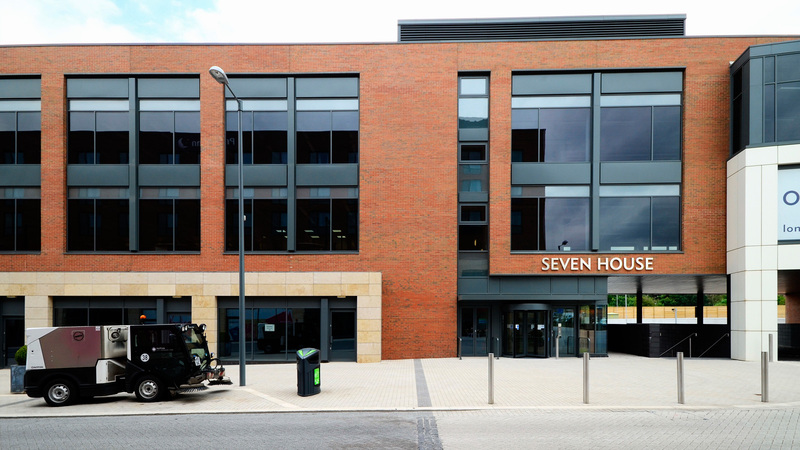 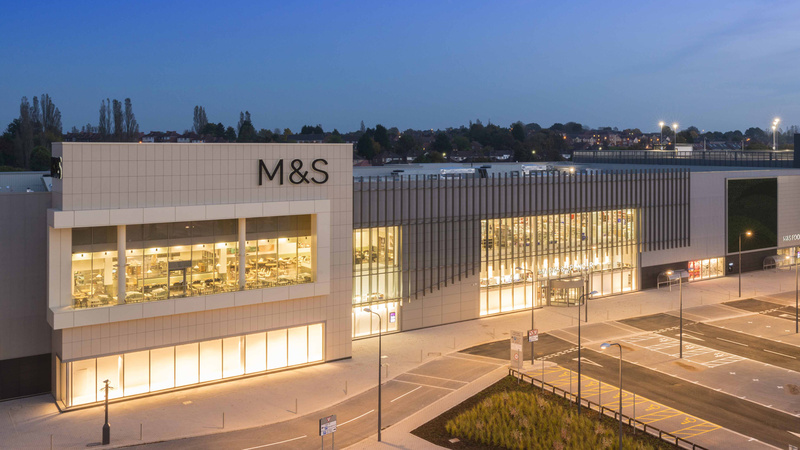 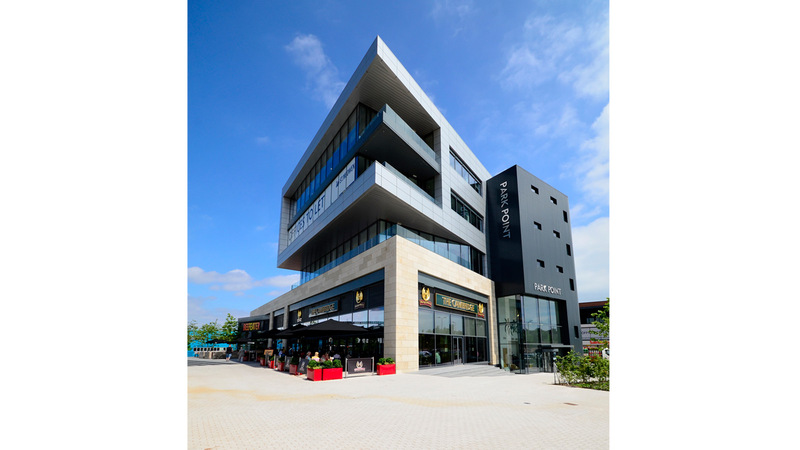 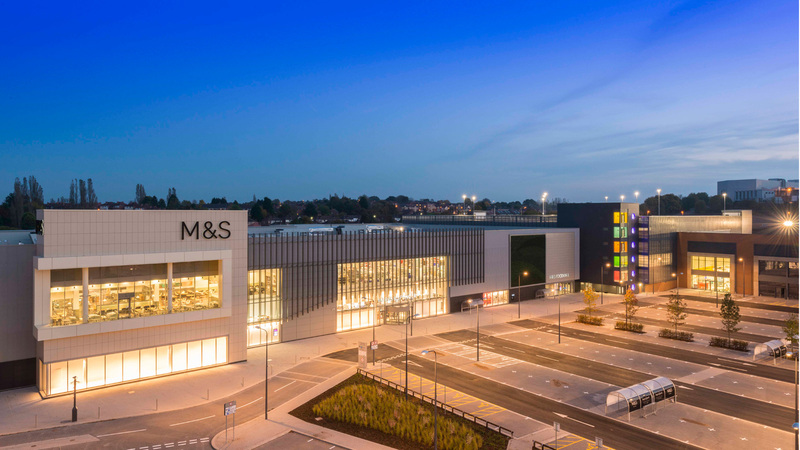 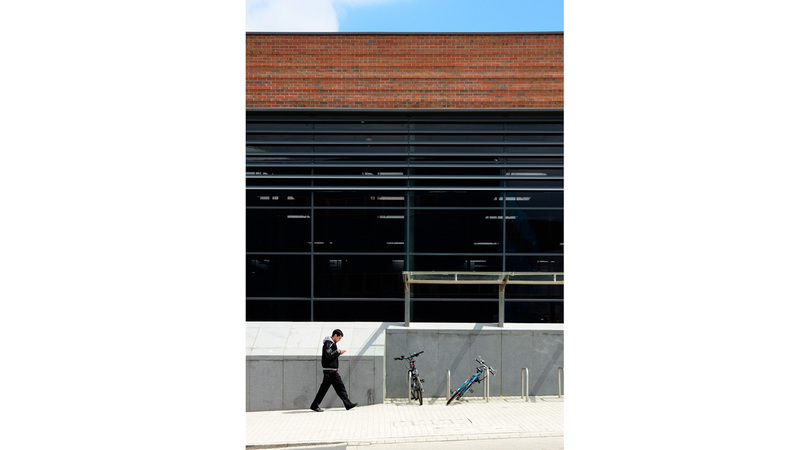 Holder Mathias were engaged by St. Modwen to develop a master plan for the Longbridge North area of the regeneration site to include a new town centre, quarters for residential, employment and leisure, as well as significant areas of public realm. 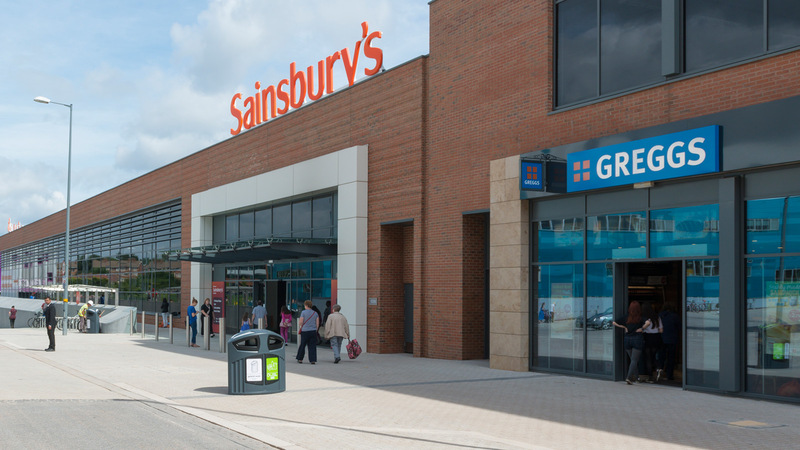 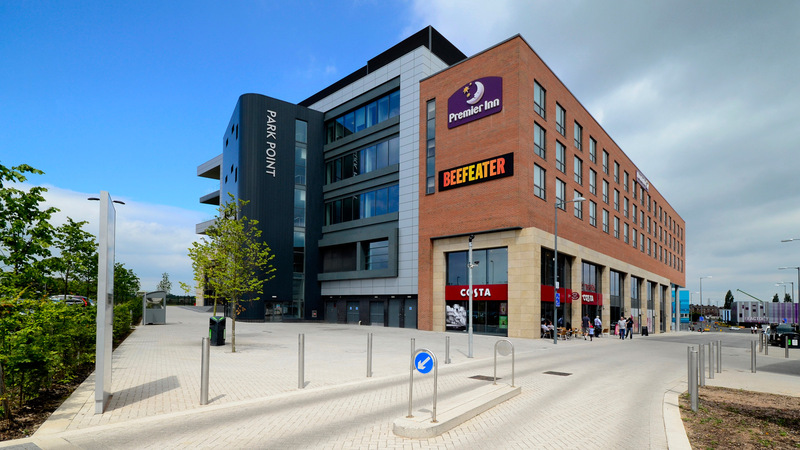 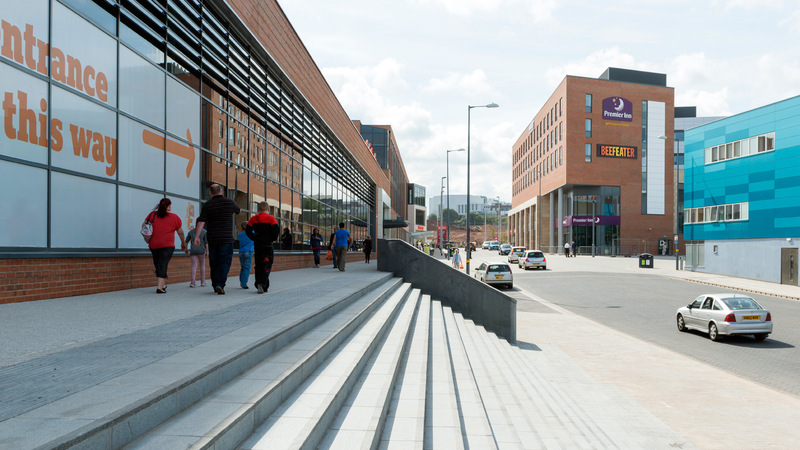 The first phase of the new town centre was completed in 2013 and delivered: a new 80,000sqft food store for Sainsbury’s with associated under-croft car parking, a parade of small shops units aimed at local retailers, a high street of medium-sized shop units aimed at national retailers, two separate Grade A office buildings with the aim of offering space to a range of different companies, an hotel for Premier Inn, several cafes, bars and restaurants including Costa, Beefeater and Greenking, car parking and a new urban park and associated public realm. 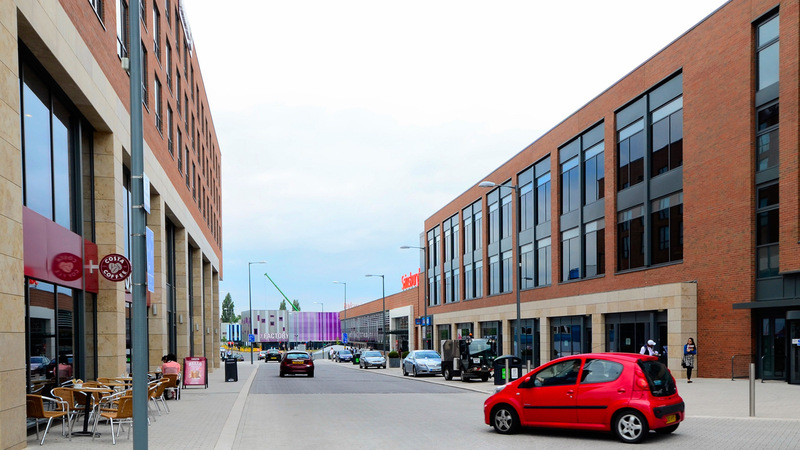 The second phase of the new town centre has been designed to include: a bespoke 150,000sqft department store for a national retailer: a 1200 space multi-storey car park, 9 large format shop units aimed at the well known national retail brands, a community facility and restaurant pavilion (to be associated with the new park) and associated surface car parking, landscaping and public realm. 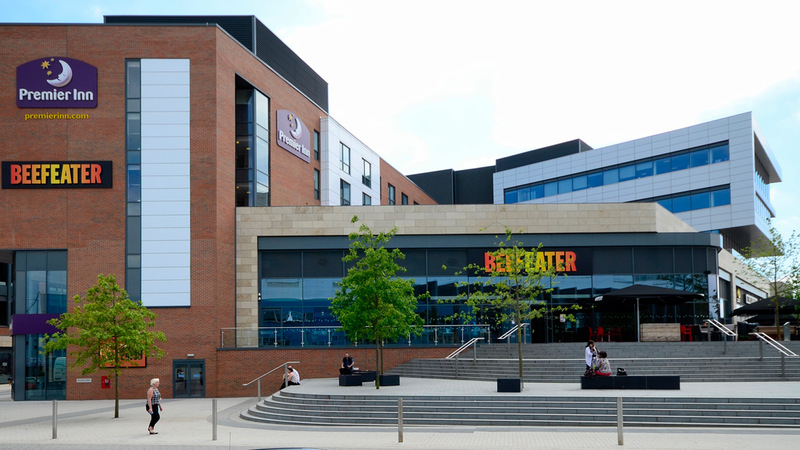 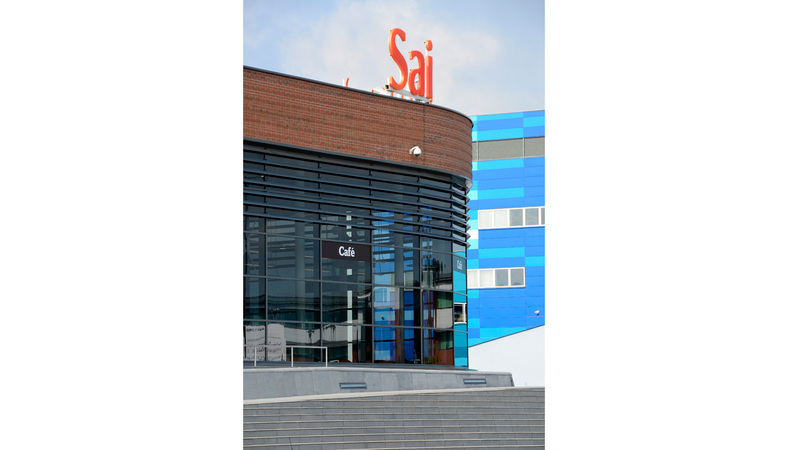 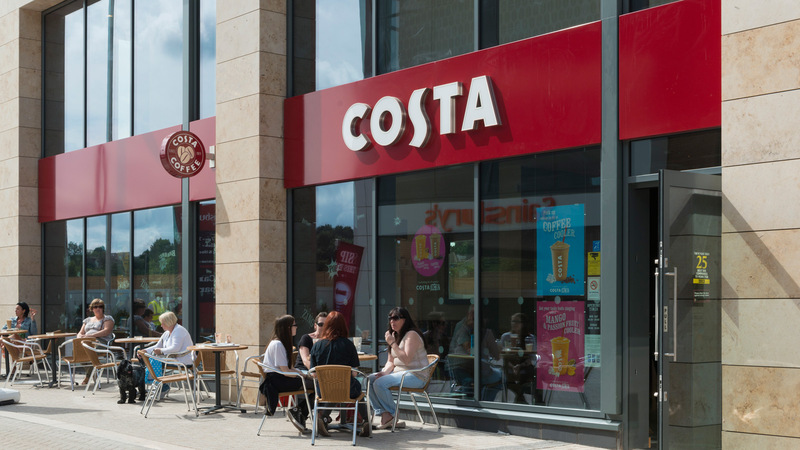 A third phase is currently under consideration for a cinema, a gymnasium and four further restaurant units. 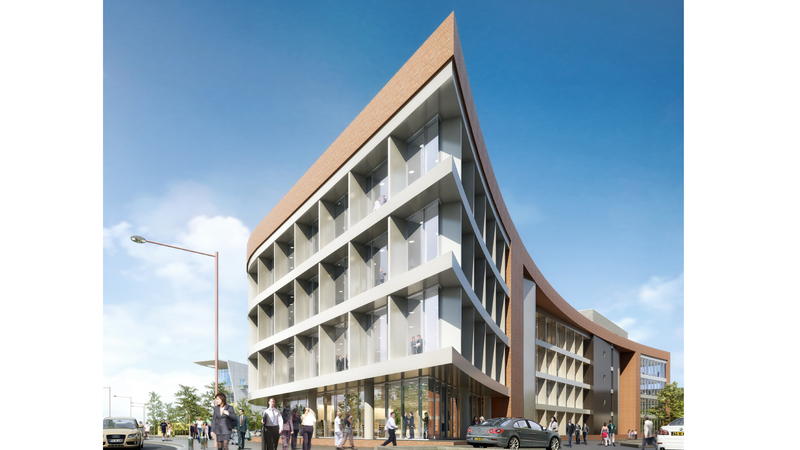 Outline designs have been prepared for a bespoke teaching, administration and student accommodation building for Bournville College and a new head quarters call centre building. 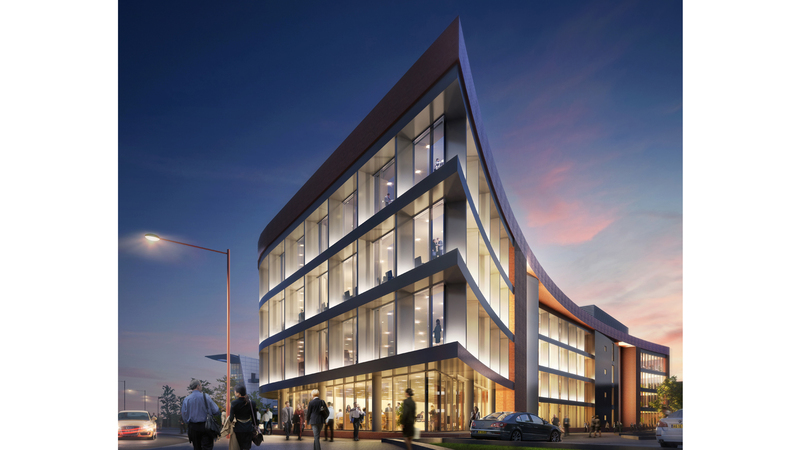 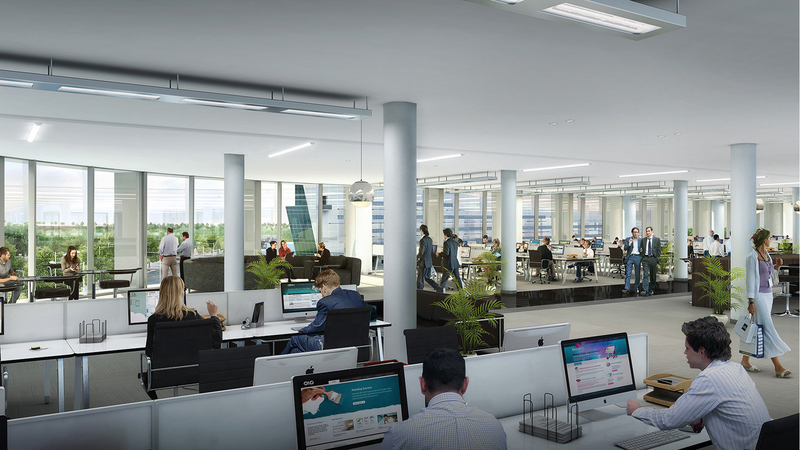 Phase 4 will include a new 120,000sqft head quarters building.